Only I There are 16 products. Sale surely the shoe is the accessory for excellence in the wardrobe of a woman: an object to which no woman can renounce to underline the look that speaks to you and expresses your being. There are plenty of fashion brand specialising in the production of top quality shoes and especially many models, perhaps precisely for this reason it is always difficult to choose: at our disposal there are an infinite number of shoes that we can choose. From slip on leather and perfect to emphasize a sixties outfit from daughter of flowers to the dancers spirits and cheeky with their thousand iridescent color, the famous neckline with very high heel for the evenings more important, to Sandals jewel to wear at the ceremonies, to the dancers for shopping, but there is a shoe which can comprise all styles and can be worn in every occasion of your day: the shoe sneaker. The Trademark Only-The is young and modern and conquest precisely all: Teen, women, girls and ladies from all over the world, thanks to its particular character and captivating. The style is fresh, trendy, in step with the times. The Shoes surprise season after season, making the style always unpublished, new and particular. Models Only-I are numerous, colorful and trendy but also the most elegant to wear clothing with more sought to match perhaps to a jacket or trousers more important. The Shoes Only-I are made of leather, leather and perforated rubber for making the foot breathable and dry in the warmer days but also in between seasons in which it is hot but comes the rain. The particular material made with high technology allows the foot to be breathable and dry thanks to the impermeability of the shoe at the same time. 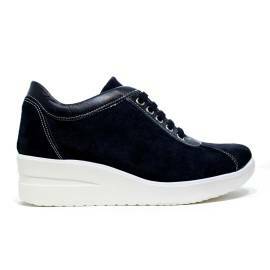 Models of sneakers are often made with high plateau in non-slip rubber ideal for walking with stability and comfort on each type of soil. The wedge in rubber is ideal for long walks, since the plateau raises the heel and makes the walk easily, also giving a correct posture and back thanks and thus also the legs. The closures are easy and special lateral tear and asymmetric or even laces from particular color. 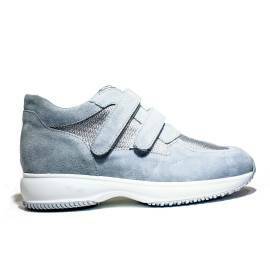 The summer sneaker are very special because they present on the skin or chamois many small holes, the shoe is breathable and aesthetically beautiful. The colors are always special: from pastel colors, to those lively to those more sought after as the ice color, fine, elegant a beautiful and enchanting shades of white always in and to be able to wear with any clothing. Fashion Only doesn't disappoint thanks to its fame all over the world and to its character denim and attractive!! 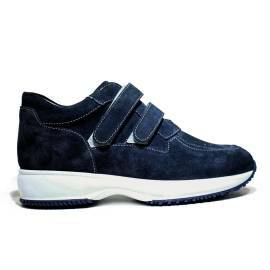 Order now the Shoes Woman Only I on youngshoes; you will arrive comfortably at home without any expense of additional dispatch for orders over € 100, with made easy and customer service always available.